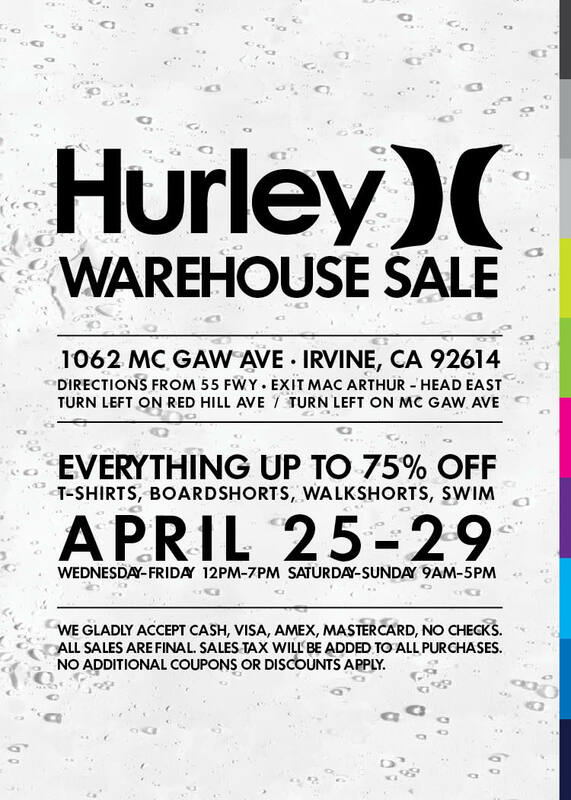 If the beach look is more your style, Hurley is also holding a warehouse sale this week, from April 25th through 29th. Just in time for summer, t-shirts, boardshorts, and swimwear will be discounted up to 75% off! So head down to Irvine and be sure to get there early to take advantage of this awesome deal.